I love a good recommendation and Box-E is the favourite restaurant of my cookery tutee! Hosting just 14 people, booking is imperative; Especially if you want to be at the chefs’ table to watch Elliott Lidstone astound you. Dishes created in a kitchen space where he can touch the width of his kitchen with arms outreached! 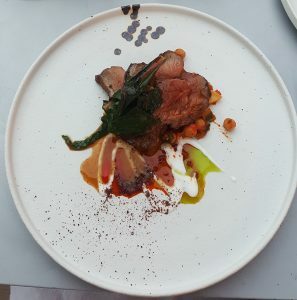 I had high hopes for the restaurant before I even put a morsel of food into my mouth so I booked the chefs table for my husbands birthday, 2-3 months ahead of time. As timing would have it, we arrived on the weekend of the harbour festival. With the chefs table reserved, we actually opted for a cooler table outside due to the heat! So instead of watching chef cook, we watched balloons fly over and heard music from the Lloyds Amphitheatre. 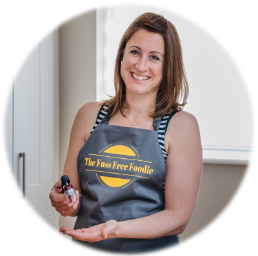 The menu is all about seasonal ingredients and designed around what’s fresh and available! We opted for the tasting menu wine with a wine flight available too. Alternatively, you could pick and choose dishes that peak your interest. 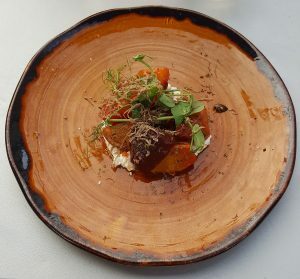 Highlights for me were the seasonal heritage beetroot, roasted and served with a delicious goats curd, doused in summer truffle. The earthy beets and cool soft curd worked beautifully together and with heady truffle! 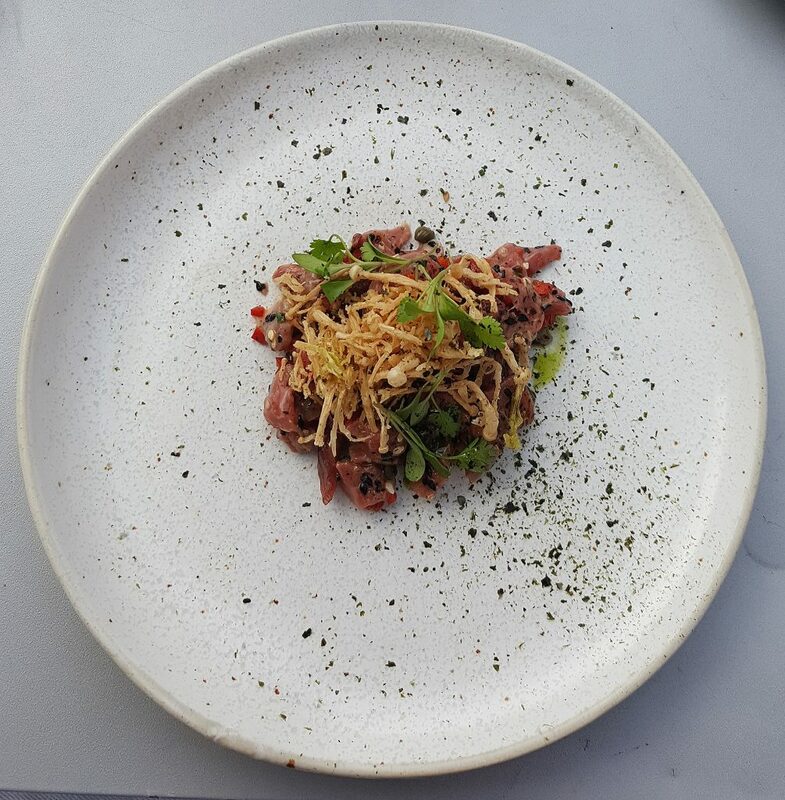 Tender raw beef fillet, with an Asian twist of sesame oil, chilli and lime was the birthday boys favourite. Topped with crispy enoki mushrooms, closely followed by crushed Jersey royals accompanies by Stinking Bishop cheese! Not for the faint-hearted, as this rich decadent cheese oozed creaminess and sharpness with these seasonal favourites. More seasonal delights included perfectly cooked hake and guinea fowl with harissa. After a short break, we were easily tempted by the desserts to come despite feeling quite full! The substantially wobbly vanilla pannacotta flanked with sharp gooseberries and candied almonds and rich chocolate mousse with deep red Somerset cherries and bright green pistachios were a delight! 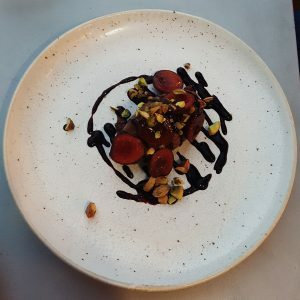 On a basic level, the food which leaves the kitchen is outstanding and the service is relaxed, friendly and efficient; I also love that BOX-E source their ingredients from around the Bristol area and keep in with the seasons. They also support other local independents using the amazing cheeses from Rosie at the Bristol cheesemonger (also at Wapping Wharf), gins from Psychopomp, Lost and Grounded beers and Stream Farm juices from Somerset. If you are harbourside, I would be definitely stopping in to see if there is a free table and booking for future special occasions! Tessa and ELliot…wishing you continued success with your BOX-E of tricks!